In our over-consuming culture, it’s important to teach our kids healthy habits, in order to preserve our earth for our future generations. What better time to discuss this than while we celebrate Earth Day? Our kids learn by our example. Unfortunately, today’s children are an “on-demand” generation. They will never know what life was like before being able to simply text a friend and get an immediate response. They’ll never know the anticipation of waiting for a handwritten letter to make it’s way to your mailbox. They’ll never experience the joy of having an entire meal that was grown on their own land. As parents, it’s our job to teach our kids what we can do to help save the earth. Whether it’s big or small, there is always room for improvement. We all know we need to REDUCE, REUSE and RECYCLE but by breaking it down into small habits, we can help our kids understand their impact on our world. 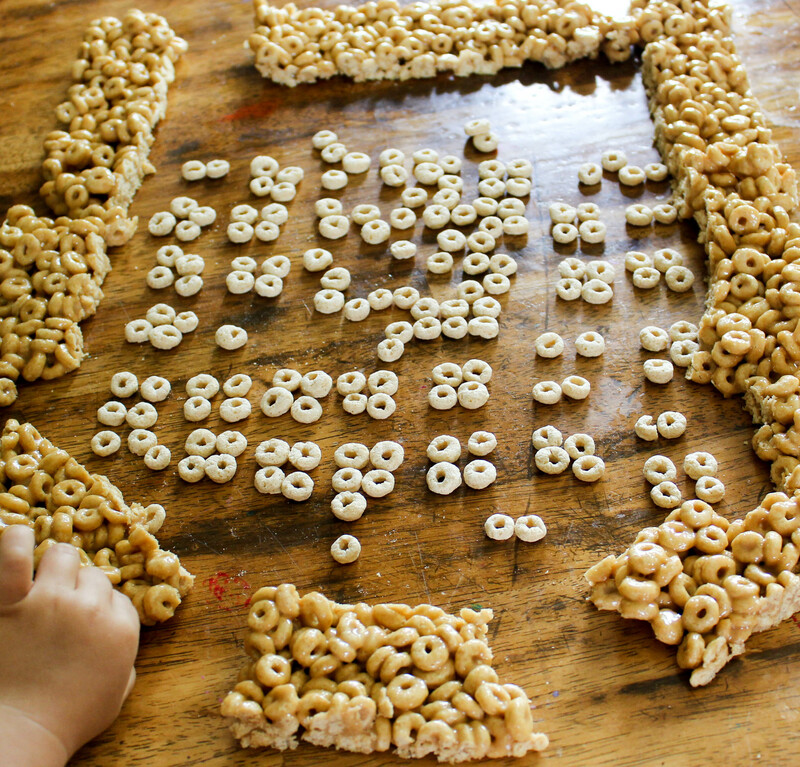 We rounded up 10 simple, yet effective ways to celebrate Earth Day with your kids! The Earth provides our basic necessities: food, water, and air. We can use what the Earth has provided for us to build our shelter. Create your own shelter. Venture outside and use sticks, mud and grass or make a fun blanket fort indoors. We talked about how you can use the most unconventional items for a completely new purpose. There are hundreds of ways to turn your trash into something useful, but we needed new bookmarks, so we made some out of a colorful cereal box. Create headbands from outgrown shirts, turn old bedsheets into a rug or upcycle old toys into fun decorations. It’s fun to compare homemade versions to store bought bread. Discuss how much waste and energy goes into one single loaf of store bought bread. From the factory to the packaging to the delivery trucks, a lot of pollution is created for your weekly loaf of bread. Drinking water and eating natural foods is not only healthy for us, but also healthy for the earth. Just paint a blue circle and using green paint, add your hand print. You can include a cute saying like “Lend me a hand in saving the earth!” Grandparents aren’t the only ones who love receiving art. Swing by the nursing home and present them with your artwork. They’ll love it and while you’re there, you can ask them to teach you something about the world we live in. Draw and label the oceans and continents. Take it a step further and have your kiddos write about which continent they would love to travel to the most. Talk about which animals live on each continent, how the weather is there and what the industry leaders are. Talk about how regions rely on natural resources and climate to thrive. We opted to plant some raspberries but you can plant anything you wish! Potatoes, celery, romaine lettuce, green onions and bok choy are just a few of the vegetables that can be grown from your kitchen scraps. With just a planter and some potting soil, you can teach your kids just how easy it is to grow their own food. This is a skill that they will use for the rest of their life! 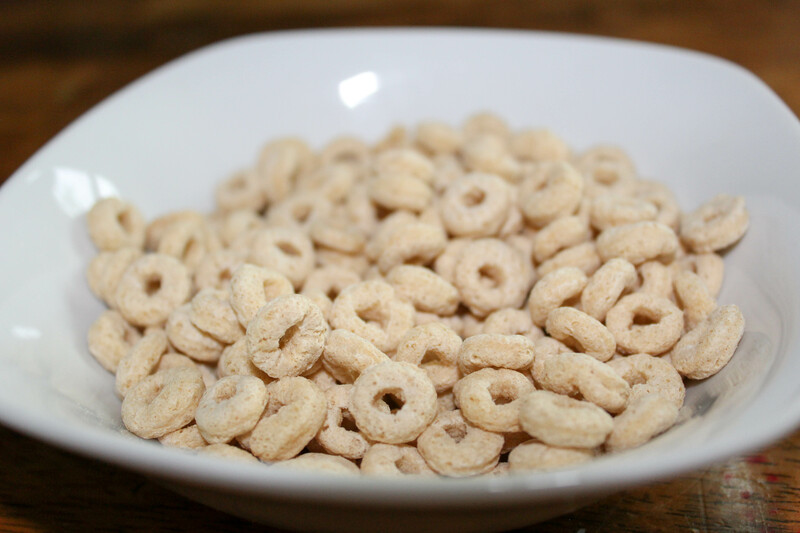 Dump some Cheerios into a bowl to represent the amount of tires in landfills. Count how many tires you use. Don’t forget to include lawn mowers, 4-wheelers, trailers, motorcycles, backhoes, tractors or anything else with tires. Next count how many tires your extended family uses. We have a large family, so we only did grandparents, aunts and uncles. Ask for ideas on how we could reuse all of those tires. I received the typical responses: tire swings, planters and rubber mulch. By adding a few more ingredients (sugar, honey and peanut butter,) you have a whole new creation! Just like we can take all of those tires and add a few more ingredients and have ROADS! My kiddos are still singing “If you’re not conservin’ water, you ought-a, you ought-a!” You can find it on YouTube or Netflix Streaming. There are tons of tips and tricks to planting. While planting can be simple, knowing these tips can help your plant thrive. (This is a great book for simple ideas to get you started.) Let them pick some flowers to plant and make it their responsibility to keep it healthy and alive. Every year, 900,000,000 trees are cut down for American paper and pulp mills. That’s a LOT of trees! We chose Dogwood trees because they are native to our area and are just gorgeous. Be sure to put a something around your tree to protect it until it’s roots get established. We reused a tire since our tree has the potential of being trampled by our cows and horses. There’s no better way to get to connect with the earth than to dig in and have some fun! You’re sure to have a great day learning about ways we can preserve the Earth. We can’t do it all by ourselves but we can do our part! Sweet smiles are all the thanks we need from our future generations! « 10 Simple Ways to Make Your Homeschool Husband Feel Like a KING!